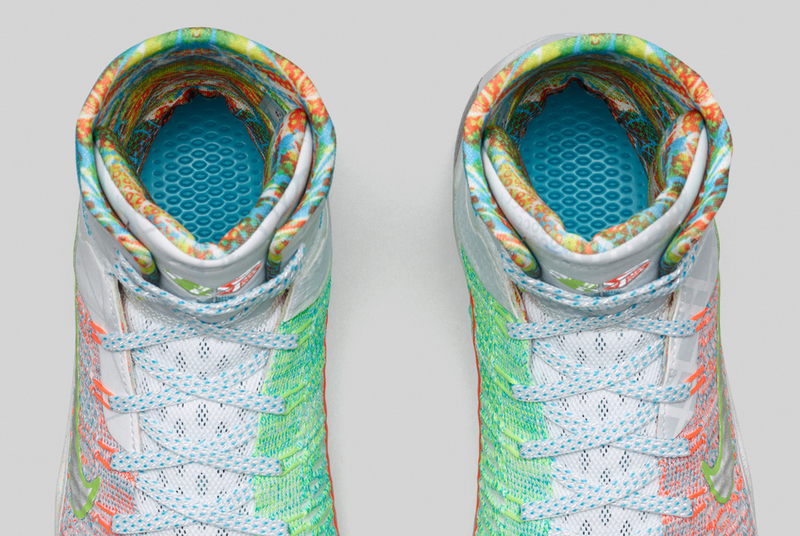 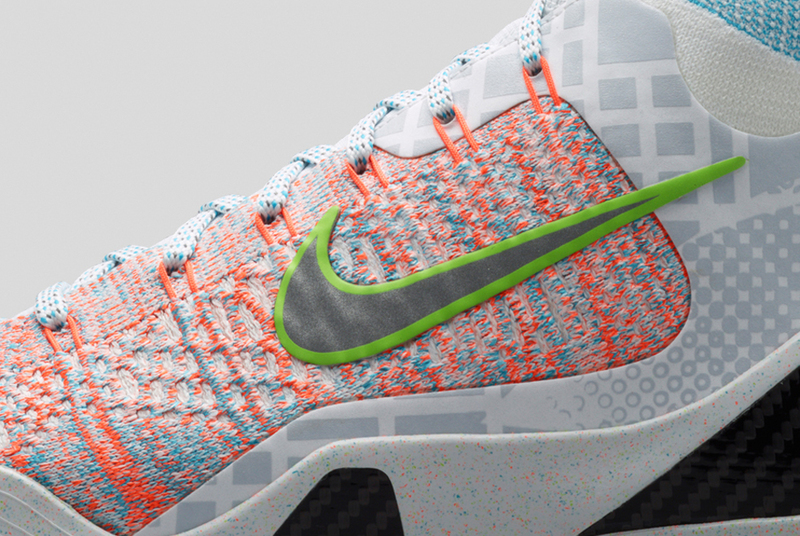 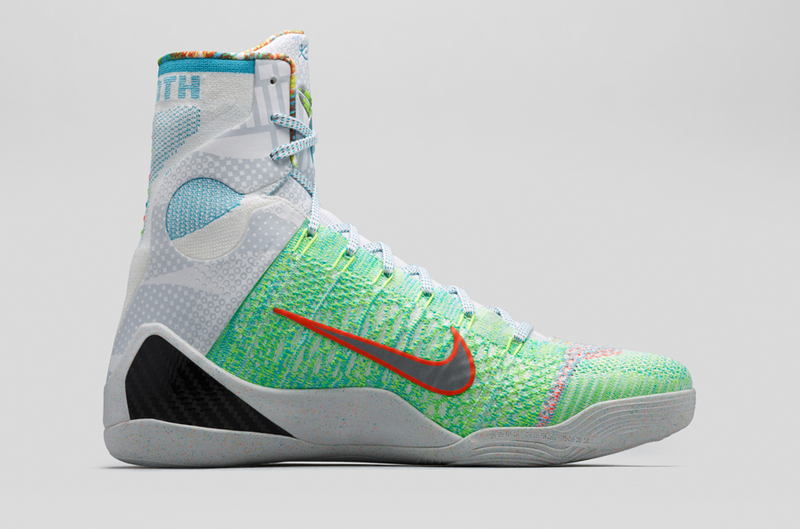 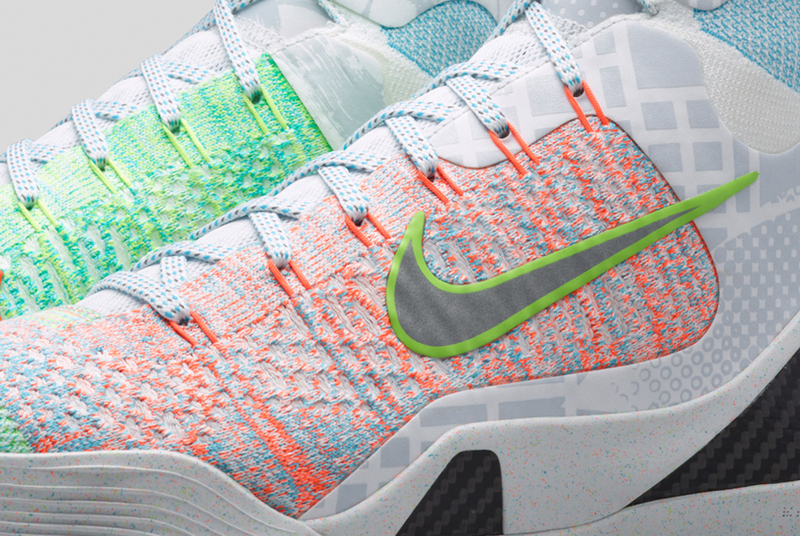 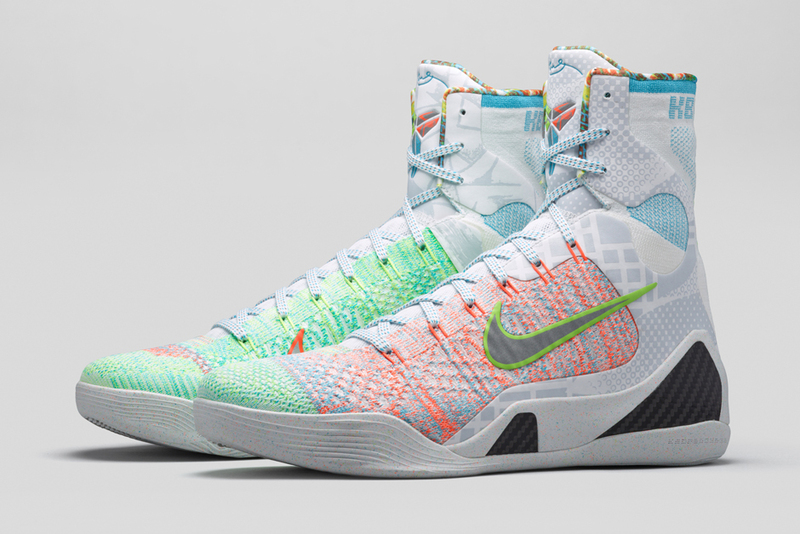 The Nike What The Kobe 9 Elite will release on January 10th, 2015. 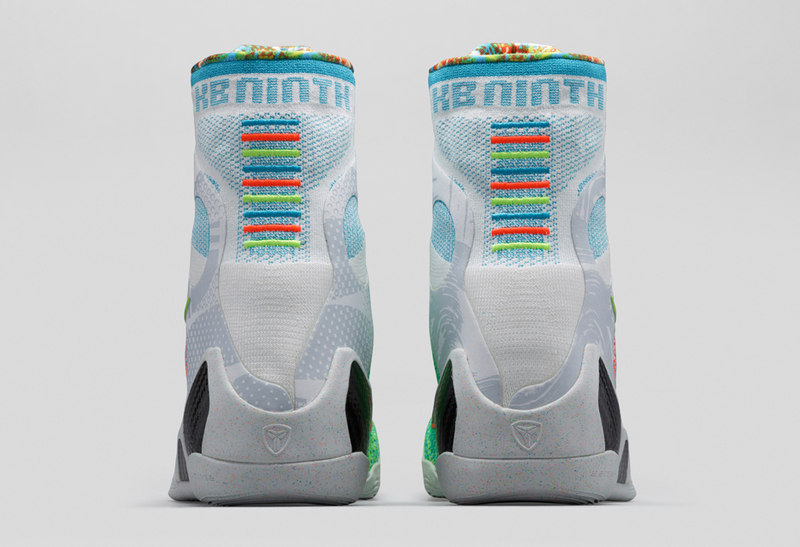 The idea of the “What The” mash-up, initially brought to us by Nike SB, has been sent to new heights thanks to Nike Basketball and the awesome PE/releases of years past, but the Kobe 9 version, which serves as an unofficial bookend to the life-span of the shoe (sort of a “yin” to the Masterpiece’s “yang), brings forward an enhanced take on the colorway concept. 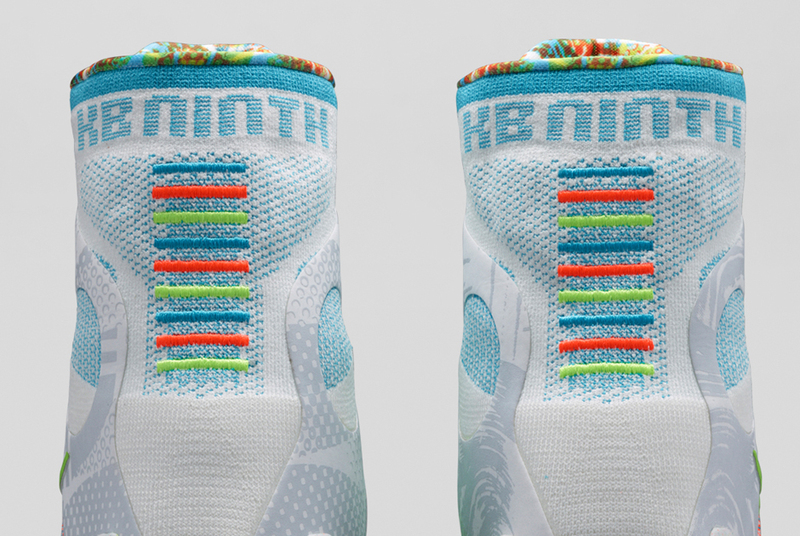 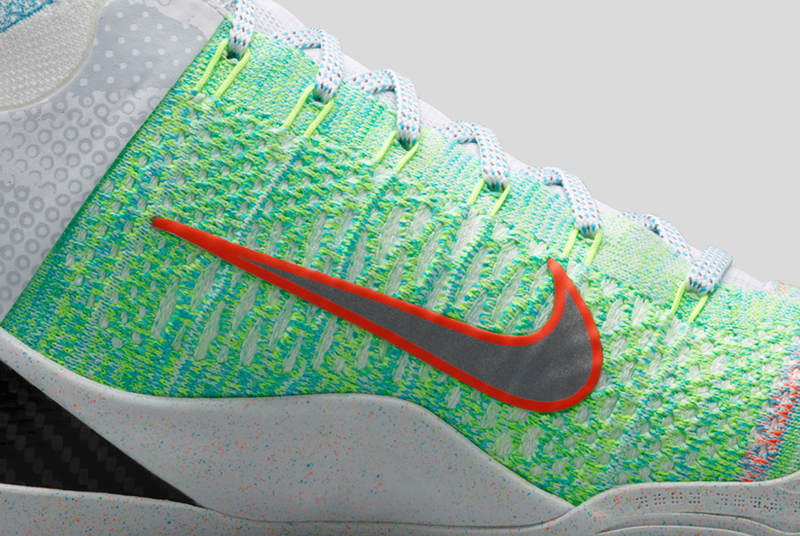 The white base acts as a “reverse” to the debut Masterpiece colorway from February and adds in bright selection of Flyknit threads from previous releases, but the real “What The” detail is in the screen graphics on the upper ankle/heel, Kobe logos, and the inner lining. 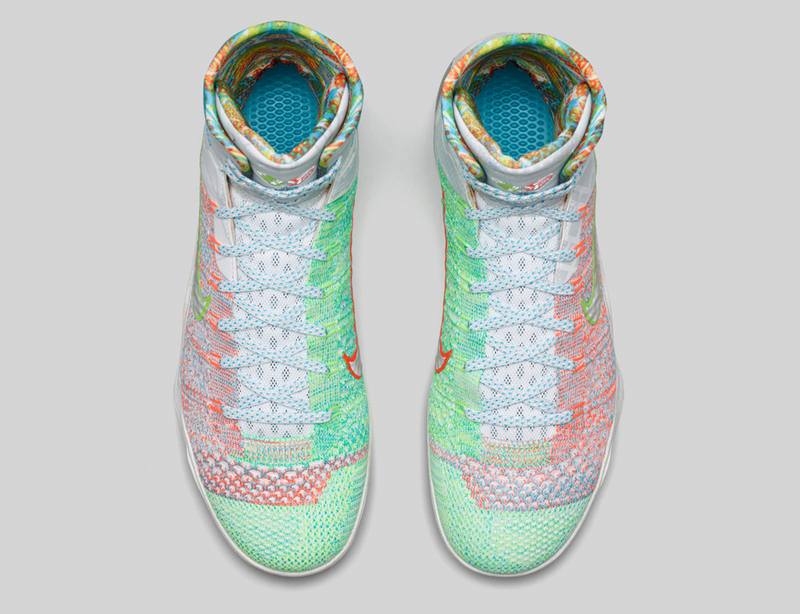 And like the previous “What The” varieties, the What The Kobe 9 won’t be extremely limited like the NRG/HTM versions of the past, so getting your hands on a pair won’t cause any WTF moments. 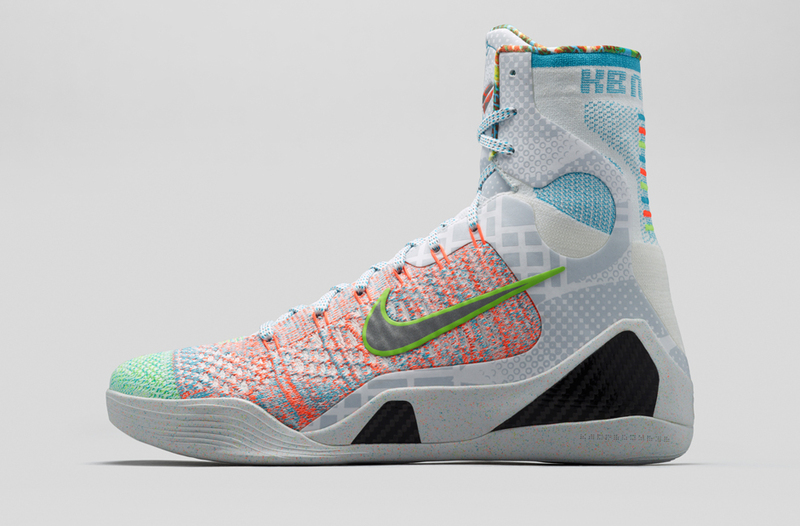 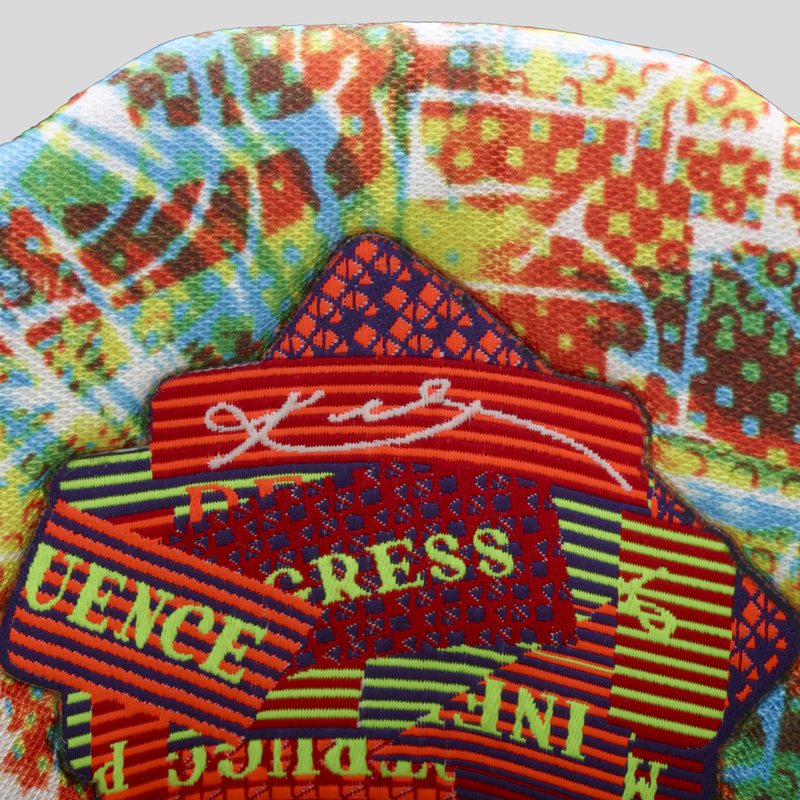 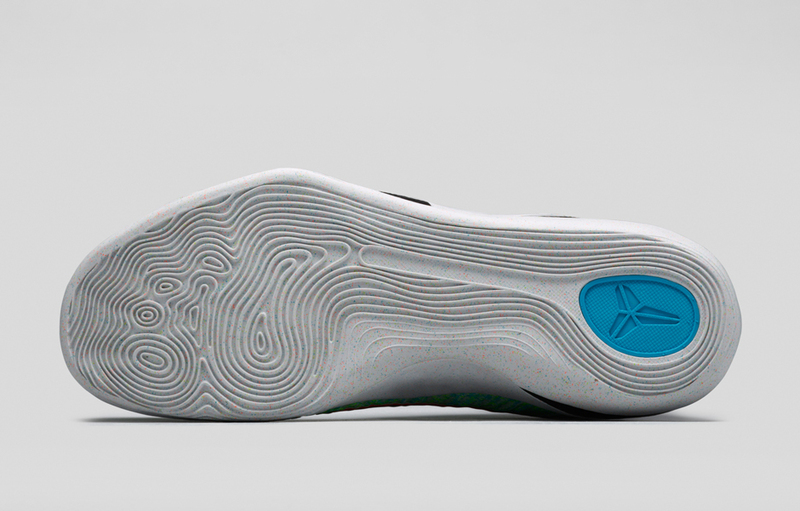 Mark your calendars for 1/10/15 for the What The Kobe 9 and stay tuned for the most accurate info on Kobe 9 and Nike Basketball news.